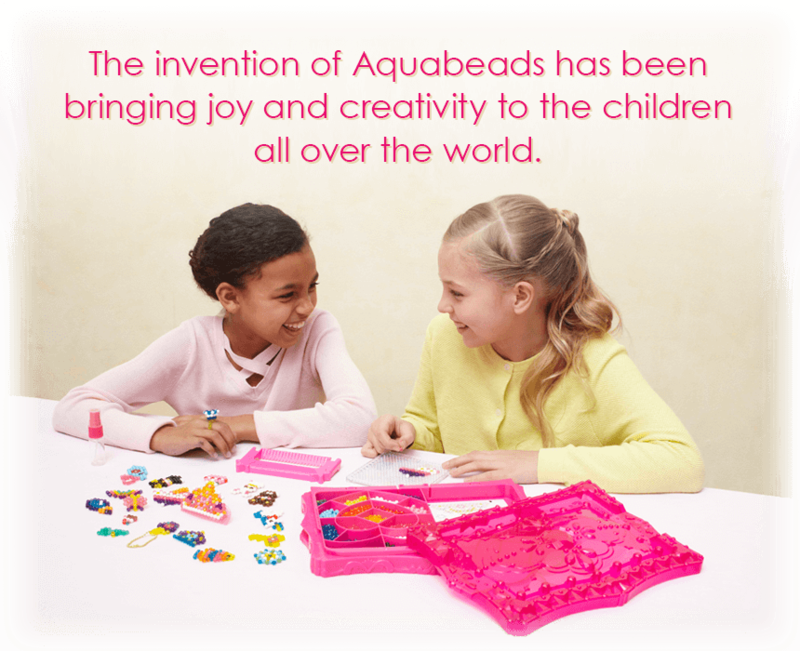 Aquabeads is the world's first ever stick-with-water bead toy invented by EPOCH in 2004. 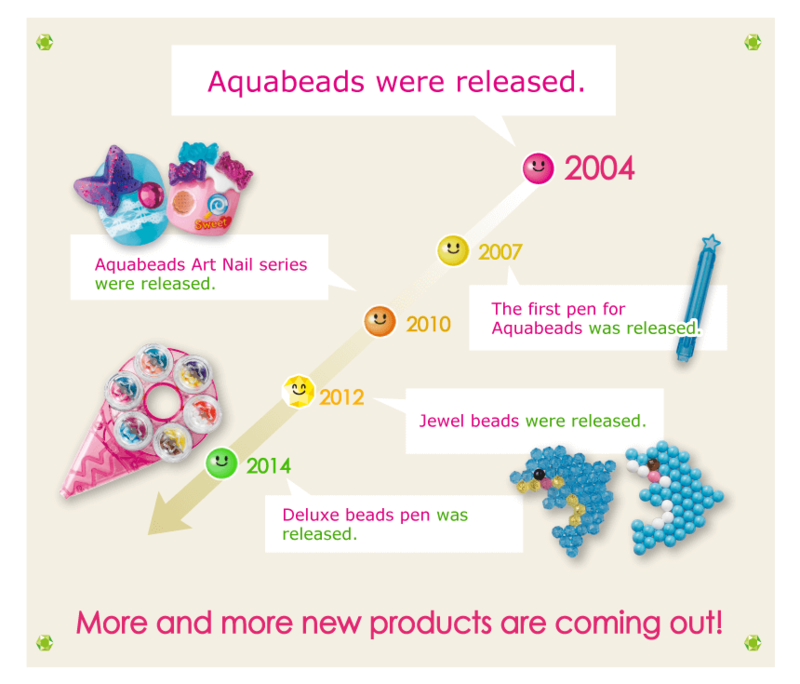 First invented in 2004, Aquabeads is now loved by children in over 45 countries and regions. Aquabeads is a stick-with-water bead toy that does not require ironing. All Aquabeads products are made of non-toxic material and pass the test for safety toy standards around the world. 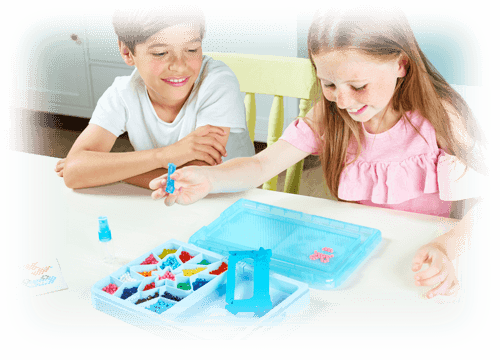 Aquabeads continues to launch fun and innovative features for children. 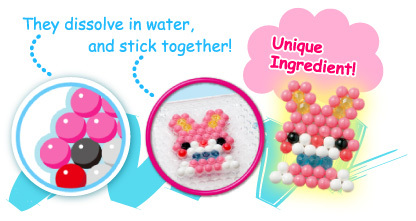 *Aquabeads is the original stick-with-water bead toy. Be aware of products claiming to be compatible with Aquabeads. One day, a staff member at EPOCH in Tokyo wanted to eat some hard sweets. As she opened the jar she found that some of the sweets were stuck together. The shape of the sweets stuck together looked just like a rabbits ear. Then she had a light bulb moment! 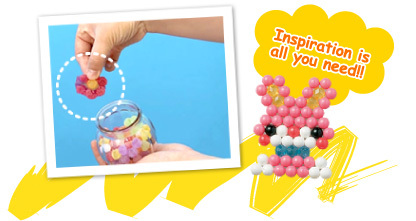 Wouldn’t it be fun to create pictures using beads that stay together just like the sweets did! How do they stay together with water? One of the ingredients of the beads is PVOH. In Japan, PVOH is used in stamps and glue. When you spray water on the beads this ingredient dissolves and sticks together. Aquabeads can be found all across the world!